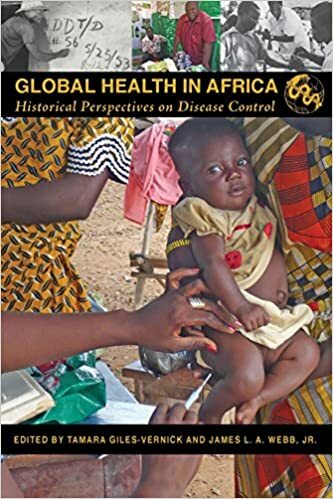 Global Health in Africa is a first exploration of selected histories of global health initiatives in Africa. The collection addresses some of the most important interventions in disease control, including mass vaccination, large-scale treatment and/or prophylaxis campaigns, harm reduction efforts, and nutritional and virological research. The chapters in this collection are organized in three sections that evaluate linkages between past, present, and emergent. Part I, “Looking Back,” contains four chapters that analyze colonial-era interventions and reflect upon their implications for contemporary interventions. Part II, “The Past in the Present,” contains essays exploring the historical dimensions and unexamined assumptions of contemporary disease control programs. Part III, “The Past in the Future,” examines two fields of public health intervention in which efforts to reduce disease transmission and future harm are premised on an understanding of the past. This much-needed volume brings together international experts from the disciplines of demography, anthropology, and historical epidemiology. Covering health initiatives from smallpox vaccinations to malaria control to HIV campaigns, Global Health in Africa offers a first comprehensive look at some of global health’s most important challenges.